Look where you can cut energy bill cost: There are many maintenance hacks that can drastically decrease your energy bills. A go-to tip is insulating your water heater. This will help you save on fuel and is extremely easy to do. You can wrap your old water heater in a blanket, but bear in mind not to cover the burner access. Additionally, you can reverse your ceiling fans. This is done by simply flipping the reverse switch so that your fan’s blades turn clockwise after the heat is turned on. An updraft occurs which pushes down hot air that rose to the top. Ultimately for bigger homes with higher ceilings, this will allow you to lower your thermostat a couple of degrees. Evaluate your roof and gutters: Scan your roof for any loose shingles or flashing seals. By hiring a professional inspector, you can rest assured that your roof will hold up during varying levels of severity this winter. Additionally, invest in a roof rake ahead of time to help remove snow once the season starts. 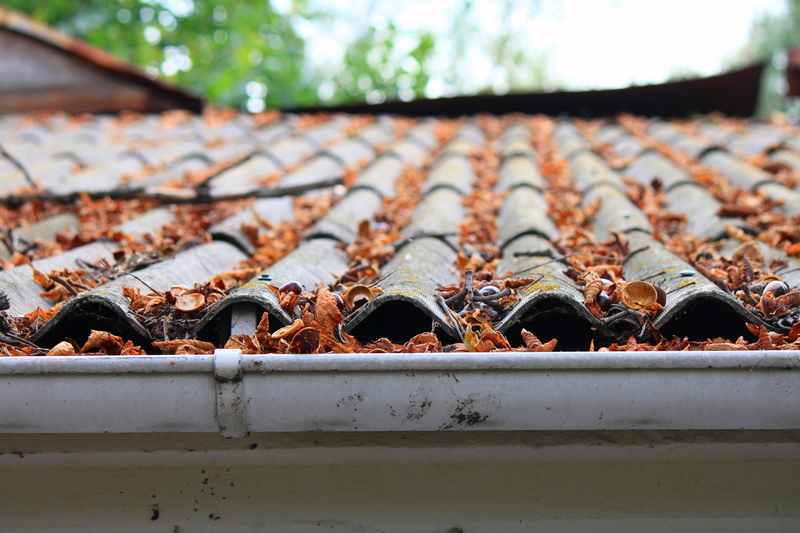 Clean your gutters ahead of time to prevent any water build-up and potential leaks caused by clogged gutters. Once the temperatures drop, your gutter may freeze which is a result of water not being drained properly. Frozen gutters lead to floods and later mold build ups. Have your solution before the problem: Make sure you have your maintenance people ready to go in the event of an emergency. This means you have preselected what numbers to call and reach out to for different scenarios. For more information on winter maintenance preparation, contact the Best Handyman Prince George VA has to offer, Timothy Home Improvement! 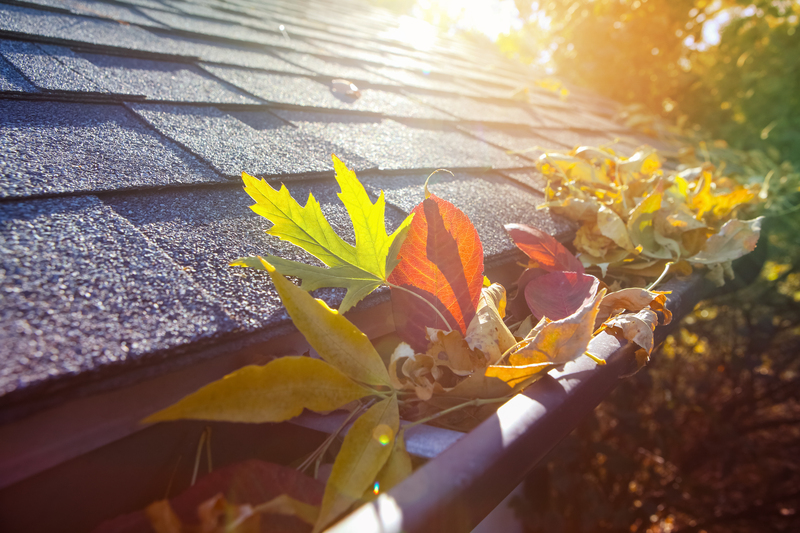 Leaks or moisture: Rain, hail, and snow all take a toll on the useful life of your roof. These weather conditions lead to the presence of moisture under the layers of roof and cause everything from leaks to mold. Roof cement or metal flashing can help prevent leaks where the shingles meet other roof surfaces. Missing kick-out flashing: Kick-out flashing is critical where a roof edge meets the sidewall. The absence of it results in runoff flowing into the wall. This is also extremely difficult to detect and it may go unnoticed for years. Ultimately, a lack of kick-out flashing can result in the rotting and destruction of framing. Critters: Birds, insects, and other small animals can stake out in/on your roof and cause significant amounts of damage. It is important to contact someone immediately before they make a home of your roof. Missing gutter apron: A gutter apron ensures that water does not reach the fascia, soffit, or roof sheathing. The apron stops the flow of water off the edge of your roof and into these areas. Water clings to shingles which then drips into the delicate crevices such as the fascia. Gutter aprons are available in all home centers and can be installed by our roofing contractor Richmond. Don’t let your roof serve as an added stress in your life. Contact Timothy’s Home Improvement with any additional questions or for more information! As winter rolls around, it is important that you take preventative measures to help avoid the headache that accompanies a leaky roof. Leaks, if not properly attended to, may result in severe interior damage. Examples of this include needing to replace furniture, floors, and even drywall. It is crucial to take precautionary steps so that come winter, you are not forced to combat these challenges in the freezing temperatures and outrages storm conditions. This DIY roof repair Colonial Heights experts recommend will without a doubt reduce your stress this winter. 2. Clean your gutters: It is crucial to regularly maintain gutters by clearing them of debris so that they can properly drain without a hitch. Clogged gutters can also lead to the unfortunate formation of ice dams. Trim branches: Another overlooked stepped in properly preparing a roof for the brutal winters that hit Colonial Height, VA is to trim overhanging branches or loose pieces on structures that surround your property. By doing so, you can prevent debris from landing on your roof. This is a simple step that can have significant results in the long-run. Rather than frantically searching for the top roofing contractor Colonial Heights to consult this winter, you can be your own handyman by implementing these useful strategies. Contact Timothys Home Improvement today!